No one actually wants to consider the possibility of having a fire in the home, but the fact is that house fires are a reality and a potential danger everyone faces. Taking a little time to prepare yourself, your family and your home for the event of a fire could mean the difference between safety and possible injuries or even worse outcomes. Consider the following four tips to keep your family safe inside your home. Ensure every member of your family has a safe route for escape from your home in the event of a fire. Upstairs bedrooms should have escape routes other than stairs, such as ladders which can be stored beneath beds and hung from windows during an emergency. If your home has basement bedrooms, they should have the proper windows installed and possibly a fire-safety escape window for easy exit. It is also important to establish a meeting place outside of your home (such as a neighbor’s yard), where your family members will agree to meet in the event of an emergency so that you will know everyone has safely escaped. Each room, or separate area, of your home should have its own smoke detector and alarm to ensure quick detection of a house fire. Test your alarms monthly and keep fresh batteries on hand for when they need to be replaced. Change the batteries at least once per year, whether or not the detector chirps. When heating your home this winter, be sure your furnace vents are clear of furniture, household items and any other debris. If you use space heaters, be sure to keep them a safe distance away from other objects. Be sure to turn them off and unplug them when not in use. It is also a good idea to check their power cords for signs of wear or fraying, as damaged power cords are the primary cause of fires related to space heaters. If you notice any signs of damage to a space heater’s power cord, it is best to replace the appliance rather than risk sparking a house fire. With a professionally installed home security system, you can rest easy knowing your family and the fire department will be quickly alerted in the event of an emergency. Whether you are home or away on vacation, a residential security system with monitored smoke detectors installed will keep your house safe. 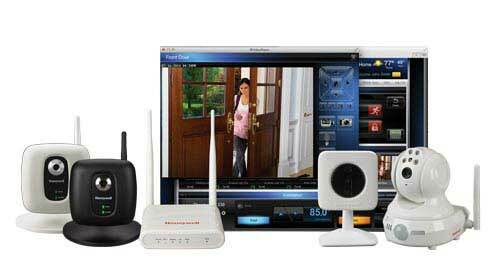 For more information, contact an expert at Arpel Security Systems today.